The most popular search engine in South Africa is Google, and as a result, our optimisation efforts are aimed at Google. However, we do not shut out optimisation to other Search Engines such as Bing. SEO is not a quick once-off project. It is an ongoing process where work is consistently done to increase and maintain search engine rankings. Even if you rank in the top position in Google for a keyword, work still has to continue to maintain your ranking. If you do not, your competitors will very quickly steal your top spot. The ultimate goal in SEO is to rank on page 1 of a search engine and in-turn to drive the maximum amount of organic search traffic to your website and to generate quality leads. Search engines look at many different factors when calculating where to tank your Website. Google, in particular, has various regulations in place to ensure that websites which are ranked in top positions are ethical and provide relevant information or answers to the user. Regular algorithm updates ensure that the search result that you get when searching is the most accurate and informative. 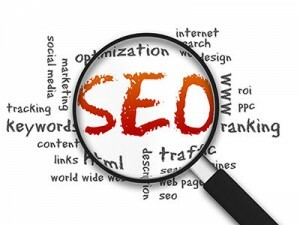 As a result, SEO agencies have to research and keep up to date with all ranking factors and procedures at all times. These just a few ranking factors, there are many more and each point has its unique complexities. Duper looks into each and every point in great detail and applies the best strategy to the targeted website to obtain the best search results possible. For more information about our SEO services, please call us on 084 880 8899 or email info@idealservices.co.za.